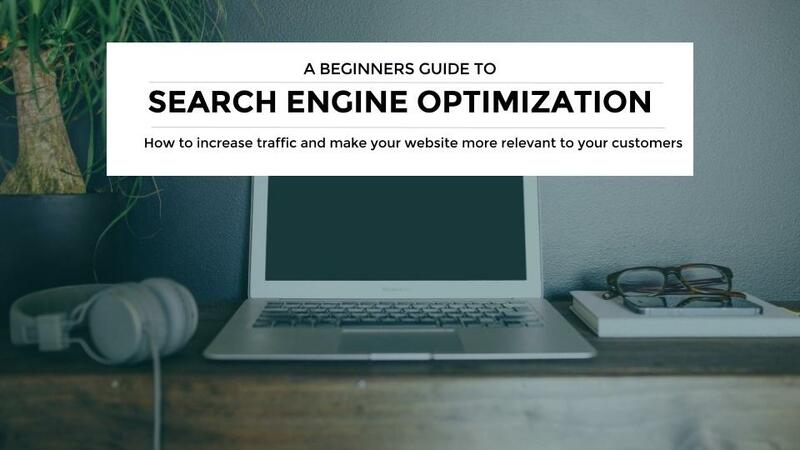 This article covers the very basics of search engine optimization and is written for beginners, who already have a website that they need to optimize for their visitors and in doing so search. This article will focus on anything you can do with your own website, or ask a website administrator and/or developer to help you out with on a very basic level. Search engine optimization is a way to improve your website so that you will rank higher in the organic listings for Google, Yahoo or whatever search engine is important to you and your target audience, market and/or business. 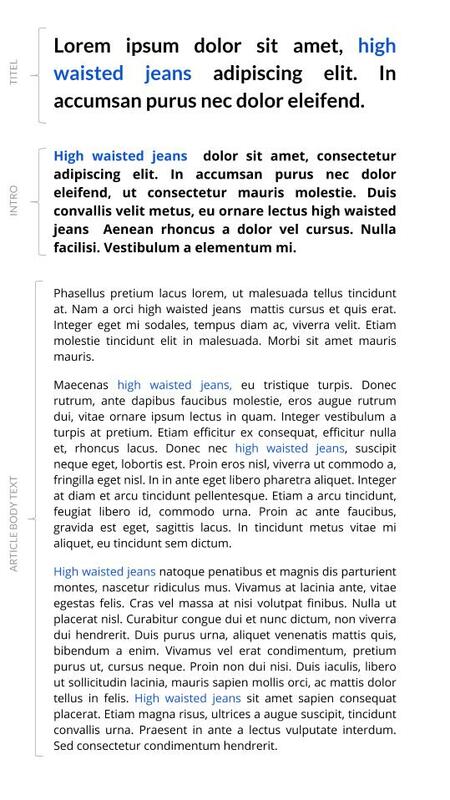 The improvements you do, are all centered around a set or a specific keywords and/or phrases. The better you optimize your website for the chosen keywords and phrases, the higher up in the organic results listings for searches relevant to that, your website will appear. Thus you will gain more visitors to convert to customers or leads. Amplification of content – link building, many times referred to as off page “optimization”. Which means what sites link to yours, what keywords they use in the link text and what page they link to. As well as social media counts. To simplify – see it as online PR. The basic principles for improving your website for search engines is actually quite simple, see your website pages as a newspaper page, you have an appropriate titles with keywords and follow up with an intro text, usually slightly bolder to entice the reader and then your body text contains your keywords, strategically placed where this makes sense. Yes you can perform some of the work yourself, based on what is important to rank high on for your business and the competition of course. There are plenty of basic improvements you can do yourself when it comes to search engine optimization and your website. A lot of the work (or should be if not!) is simple “best practice” when it comes to website management. To establish what keywords that you want to rank high on – do a keyword analysis – I would recommend that you let an SEO agency do this, or freelance consultant, since this is tedious work and a experienced person does this much quicker. From the keyword analysis you select keywords to rank high on, based on the search volume (in most cases, there is a waste of time to target to rank high for keywords that have low search volume). I use see, think, do and care since this is an easy model to apply and work with. 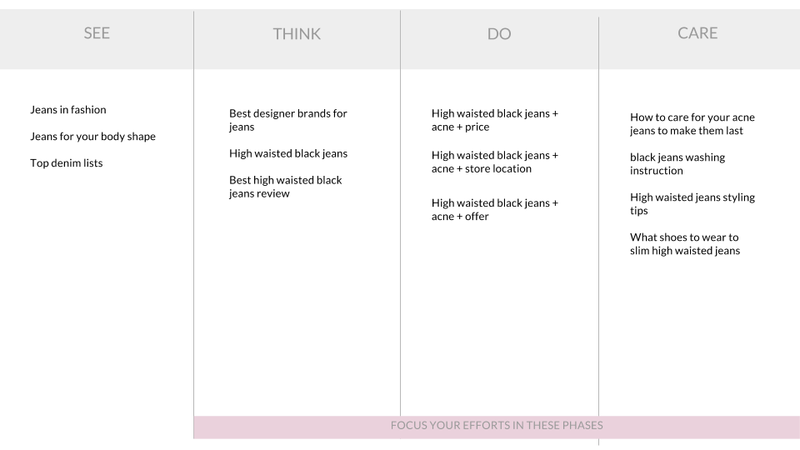 In this model I’ve used high waisted jeans as an example for on how the potential customer can use a search engine to find those perfect black, high waisted pair of jeans. And thus illustrate how you should think in terms of picking your keywords, optimizing and creating content for your website. If you rather do a keyword analysis and evaluation yourself, these are the tools to use to perform one. Create a document of your keywords/phrases mapped against your customer search journey/path to purchase, and make sure this is included in your marketing strategy. Have you created a sitemap? Have you submitted your website to Google through Google Search Console? Do you have a link building strategy for external websites?